The 45L Tax Credit rewards eligible contractors for installing energy-saving elements to newly constructed single-family homes and low-rise residential buildings in an effort to reduce energy and power costs. Our team of in-house experts will work with you to obtain up to $2,000 in tax credits for each property that qualifies. We are also happy to assist our clients with acquiring up to $1,000 in tax credits for the construction of energy-efficient manufactured homes. 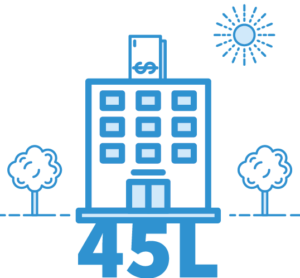 45L was first made available by the Federal Policy Act of 2005, and can be claimed by “Eligible Contractors” recognized by the IRS as any Trust, Estate, Partnership, Company, or Corporation that was in charge at the time of construction. If your residential property is currently under construction, or has recently undergone renovations in order to meet the energy efficient threshold, contact us today, and we’ll work with you to score the most out of the 45L Credit. Each unit within an apartment or condominium is eligible for separate credits. Structures that stand three stories or less above grade. Structures with completed construction after August 8th, 2005. Structures that have undergone substantial renovation and rehabilitation after August 8th, 2005 may also qualify. Properties that were sold or leased during the same tax year the credit is claimed. Properties must be constructed to meet 50% reduction in energy and power costs. 10% or more of the energy associated with heating & cooling must come from building envelope elements (Ex: roof, walls & Windows). 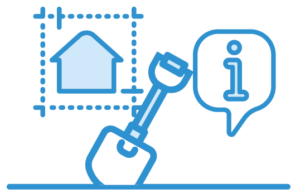 We will work with you from the beginning of the construction process to make sure all energy- saving threshold requirements are met, and that the proper paperwork is collected. The 45L Tax credit must be filed in the same tax return year that the qualified property was completed and leased in.